This Q&A with Adeline Nukuna, MD, of Beebe Women's Healthcare - Plantations first appeared in the Fall 2018 Women's Health Beacon. According to a 2016 report from the CDC, the increase in the rate of sexually transmitted infections (STIs) among older Americans is larger than that of the rest of the population. 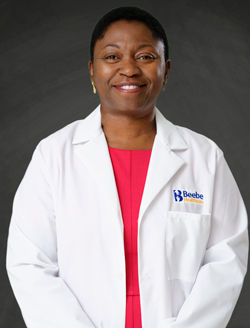 We talked to Adeline Nukuna, MD, FACOG, Gynecologist and Obstetrician at Beebe Women’s Healthcare—Plantations to learn more about what important sexual health issues are facing mature women. Why are STIs on the rise in older adults? Some older adults may not think that they are at risk for STIs, and as a result, they might not use condoms during sexual encounters. Also, many people do not feel comfortable talking to their physician about sexual health in general or about certain symptoms they may be experiencing. In addition, providers may not ask their patients about their sexual activity or sexual health. What should you do if you get an STI and what are the consequences if left untreated? You need to seek medical evaluation and treatment if you are having symptoms of an STI or if you believe that you have been exposed to STIs. STIs have some untoward consequences including pelvic inflammatory disease and chronic pelvic pain. There are other complications that are associated with specific STIs—neurologic problems, meningitis, complications of HIV, and heart problems, to name a few. How often should post-menopausal women see their gynecologist? Going for your annual exam is important because your provider will address your overall wellbeing and administer necessary screenings. Before the appointment, write down any concerns you want to discuss with your provider, such as hot flashes, vaginal dryness, or pain with sexual relations. Also, bring a list of any new medications that you are taking, and be ready to update your provider of any changes in your health status. Beebe Healthcare is here for you in every phase of your women’s health journey. If you have any questions about Women’s Health, call (844) 316-3330.